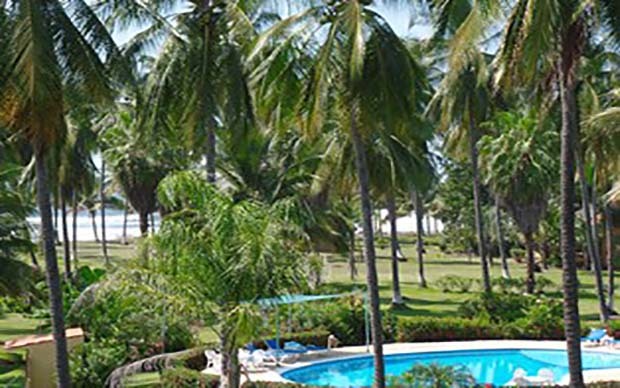 Turn key property with very good rental history located in a 16 home gated beach front working coconut plantation. Villa Reyes is a single family home with fantastic views of the Pacific Ocean, 2 community pools, and beautifully maintained gardens. This 1850 square foot home features 2 large bedrooms each with ensuite full baths, powder room, laundry room, open kitchen, dining, and livin room, 2 decks, plus a gigantic third floor deck with a palapa and outdoor covered day bed and wet-all with ocean views and sound of the waves. 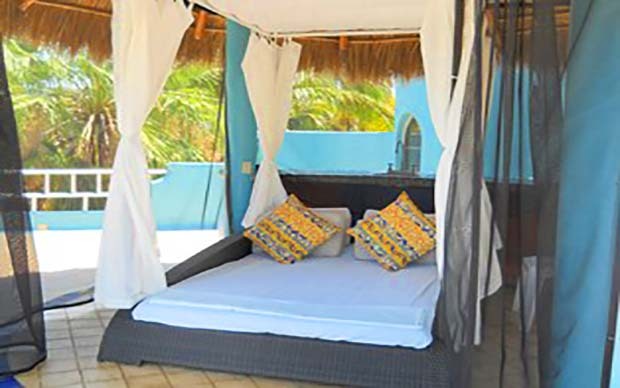 Villa Reyes is a 2 minute (150 meter) stroll to the 5 mile, white sand, almost secluded beach. There is an adjacent estuary for kayaking, boating and fishing-usually brimming with numerous birds. great oportunity!